South Korean exchange Coinplug is set to drive a rollout of Bitcoin gift cards, which anyone will be able to purchase from convenience stores imminently. 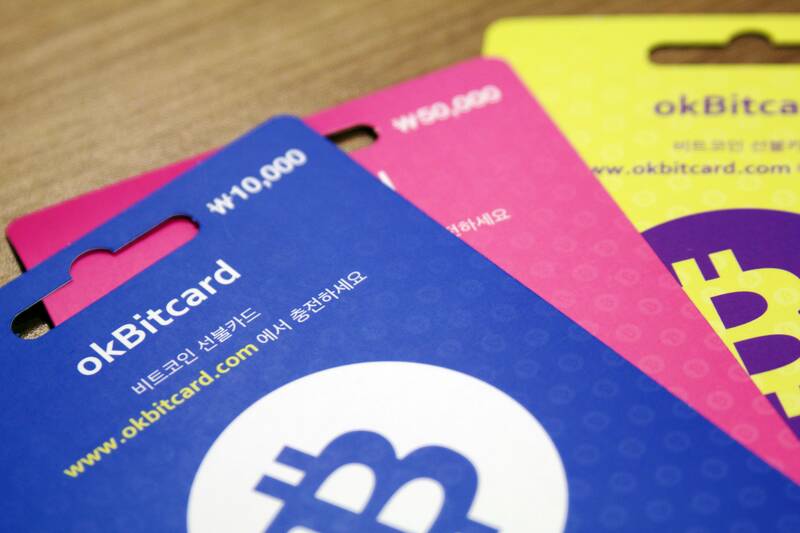 OkBitcard, a scheme which will allow customers to purchase US$50 worth of bitcoin, is already operational in a range of merchants in South Korea, including 7-Eleven, in the form of a printed receipt. Soon, Coinplug stated, physical cards will also be widely available. Coinplug is cementing its stance in the local Bitcoin market, having already partnered with ATM operator Nautilus Hyosung to bring two-way Bitcoin ATMs to the country last year. A promotional video for okBitcard released this week confirms that cards can be redeemed via a dedicated app by scanning a QR code and entering an additional confirmation code. Coinplug has since unveiled the final design of the cards, which have been optimized to resemble other gift cards commonly available on the market. According to Coinplug, the number of merchants participating in the scheme nationally is 24,000. While users picked up on the fact that no mention of 7-Eleven has been made to date, Coinplug confirmed the chain’s participation. “In order to buy, first you need to be in Korea :) then go to 7-Eleven and ask for the okBitcard. The cashier will print out a receipt that has the pincode, which you will redeem on the Coinplug's wallet app or web…,” it stated, adding that in future the physical cards will also be on sale. The South Korean Bitcoin market involves a number of players and recently held its own Bitcoin conference in the capital city of Seoul, but despite more relaxed government treatment, adoption has been noticeably slower and less widespread than in neighboring China and further afield. OkBitcard , a scheme which will allow customers to purchase US$50 worth of bitcoin, is already operational in a range of merchants in South Korea, including 7-Eleven, in the form of a printed receipt. Soon, Coinplug stated, physical cards will also be widely available. Previous PostChangeTip Integrates Slack, a New Use Case for Micropayments? Next PostChangeTip Integrates Slack, a New Use Case for Micropayments?